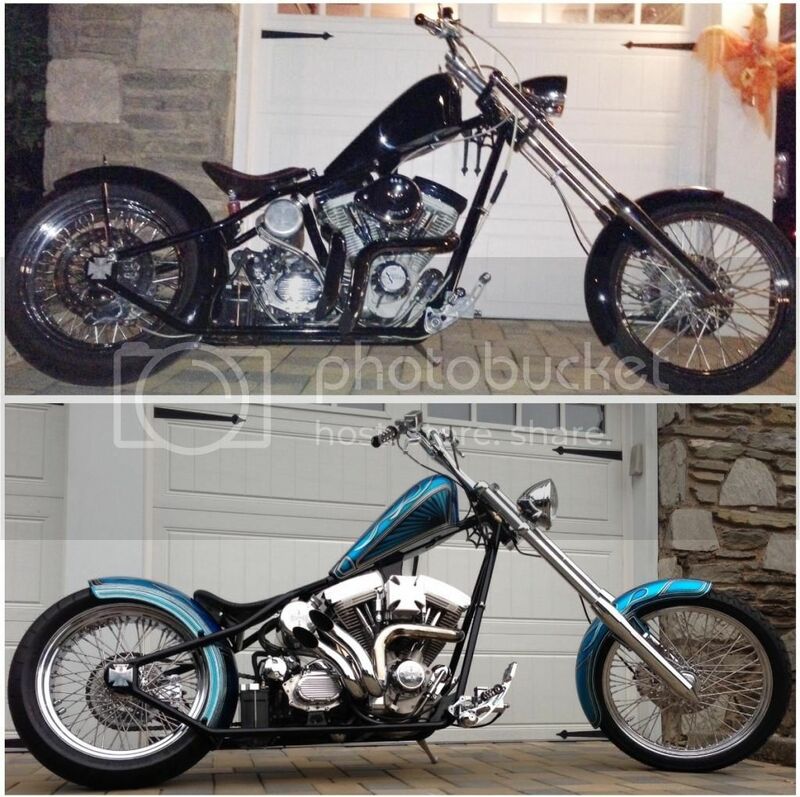 Congratulations to CC member Qwickk for Club Chopper's Chopper of the year 2014 win!!!!!!! This is my first build. Started, finished and documented here on ClubChopper... All made possible by the help of fellow members! 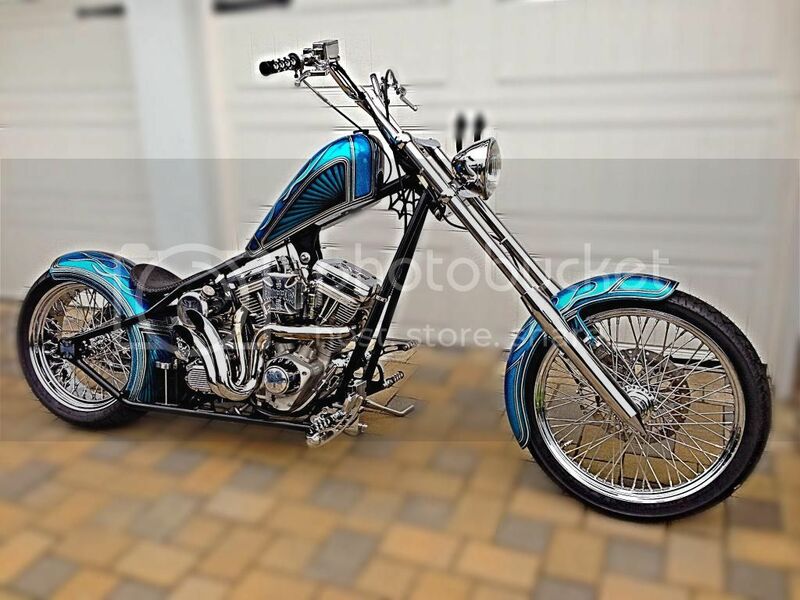 It started out an an 07 West Coast Chopper CFL with lots of issues from electrical to misaligned driveline. I tore it down to the frame, reprinted, rewired, rebuilt and gave it a new look. The only things that remained the same were the frame, motor, trans and front forks. Looks sharp man, very nice. Congrats! 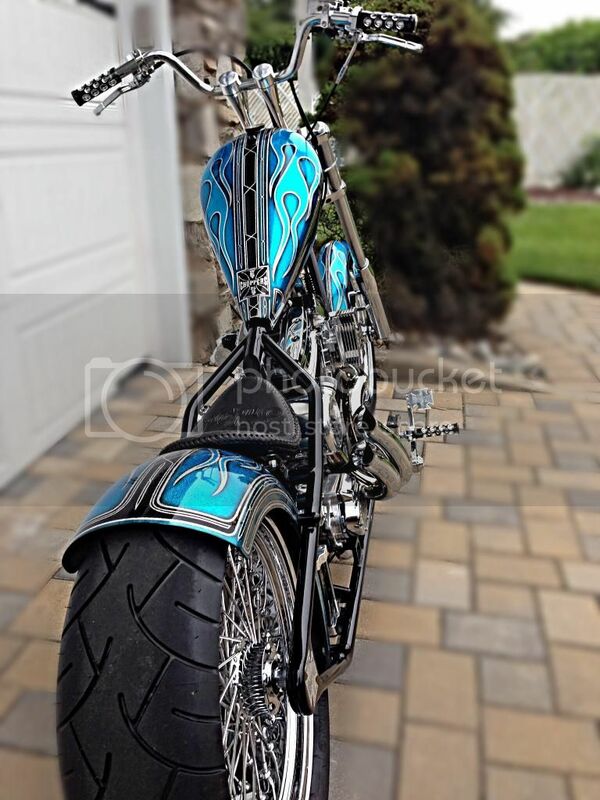 That is one Awesome Chopper!!!!! congrats!!!! well deserved ,bike and title. Wow, what an honor... Thank you ClubChopper! Thank you guys for the votes, I don't know how you were able to pick, the competition was stiff, the builds and bikes are amazing and true works of art. Thanks again everyone, ride safe! Very nice job , well done. Chopper of the year . Awesome . Congrats that's a great bike. Well deserved. who makes the front end forks whats the manufacturer. 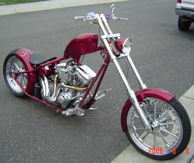 Bike Year, Make, Engine: 80" bobbed prostreet,'06 RdKng. The bearer of gossip is a small untrustworthy person who takes delight in someone else's problems. Avoid them.